Give the gift that keeps on giving with our cheerful Christmas cactus! This easy-to-care-for plant will put on an outstanding holiday show year after year. Delivered in full bloom! 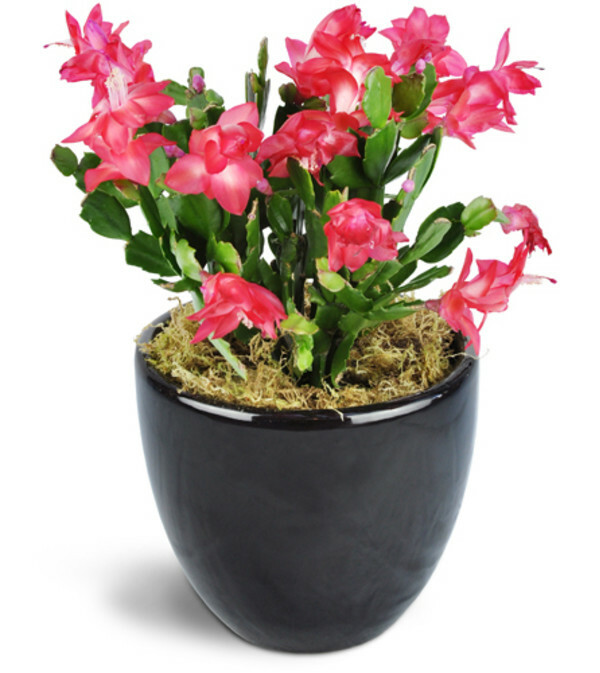 One 6" magenta Christmas cactus is delivered in a black ceramic dish. Guaranteed healthy! My sister absolutely loved it!!! As soon as I placed an order I was given a call to let me know they were out of Lilly's but was able to discuss what other options I had. I appreciated that! They didn't just make the decision on what they thought would look nice. They got my idea of what I loved and build off of that. That's called great customer service and for that I give you ten stars!!! 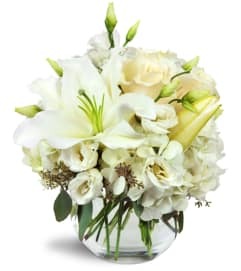 I ordered a plant based arrangement with flower placements. It was big, full, and plush. 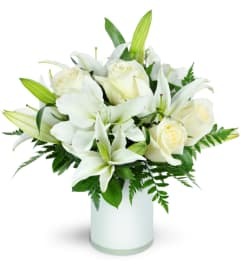 Nothing worse then a person recieving wilted limp flowers for the money you spend and that was not the case with these. Thank you for making my sister day even more special. Mr friend was very happy with her Birthday Bouquet. Thanks for the easy on line ordering and fresh bright flowers! What a wonderful experience. When the owner couldn’t get all the exact flowers that were in the picture, she called me and asked if she could substitute flowers and upgrade my bouquet. Then she sent me a beautiful picture after she finished the arrangement! I can’t recommend them enough! Event Connoisseur Flowers and Gifts is a Lovingly Florist in Glastonbury. Buying local matters. Discover how Lovingly supports local florists. 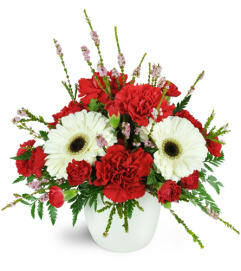 Copyrighted images herein are used with permission by Event Connoisseur Flowers and Gifts.